Grounded in investigations conducted over the past 25 years, Adolescents’ Self-Discovery in Groups demonstrates how adolescents can become more active in society based on how they form, maintain, and evaluate groups. By collaborating with youth in a wide range of communities, Thorkildsen details the trajectory of adolescents’ development—from a primarily self-oriented perspective to beliefs about and participation in local and global activities. Focused especially on the potential of schools for catalyzing this development, this volume details youth’s affirmations and critiques of educational practices, and uses these evaluations to illustrate adolescents’ readiness to fulfill leadership responsibilities. 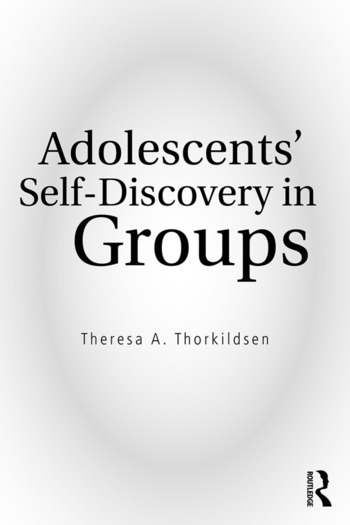 Written for scholars, students, and professionals seeking to understand how adolescents construe their social worlds, Adolescents’ Self-Discovery in Groups makes a powerful case for group interaction being central to adolescent development. Theresa A. Thorkildsen is a Professor of Education and Psychology at the University of Illinois at Chicago, USA.